I first heard the statement, "Once a cheater always a cheater" when I was in high school. Maybe some women are born with an innate desire to believe in the ability to change. I know I'm a little more evidence-based myself and if history is any indication, I'd say Don Draper will spend the rest of his fictional life appearing in the beds of women all over 1960s Manhattan. Last year, at the end of Mad Men's season 5, we were given reason to speculate about Don Draper's ability to change his philandering ways. "Are you alone?" asks a woman at the bar where Don sits. He turns to her with a look of indifference and the scene fades to black. Although what looked like indifference at the time, now seems like a despondence -- a man void of the hope that he will ever change. Can a man change? Especially a man like this? I first heard the statement, "Once a cheater always a cheater" when I was in high school. I was dating an older boy who was quite popular and cute. Pleased with myself, I carried on with him despite his reputation with the ladies. This reputation was that he flirted a lot, with everyone. I must have thought I was pretty remarkable to expect him to stop flirting and kissing and dating these girls while we were together, but hey I was 15. And I was different from all the other girls. He was way too interested in me to have time for anyone else. Hah! Two months passed, and I was getting bored. This guy had a pretty face, but man, was he vacant. I was in the throes of becoming a deep individual; strumming my Les Paul to Pearl Jam and writing poetry about the walls in my head. It was the early nineties and I was getting my grunge on. I broke up with him on the phone, and his response was, "OK." Later that day I went to a party and a few people came up to give their condolences for our failed relationship. "I'm glad you guys broke up. He was seeing like three other girls. Once a cheater, always a cheater," some drunk girl said as she filled her plastic cup from the keg. I was shocked. He cheated on me? How could he? I mean, it's me! This was my first lesson in boys 101: Do not think that I am going to be the one to defy past evidence that a guy is challenged in the monogamy department. Ever. I'll leave that up to women who are interested in that challenge. This boy was so meaningless in terms of my dating career, but in actuality he taught me to open my damn eyes up. 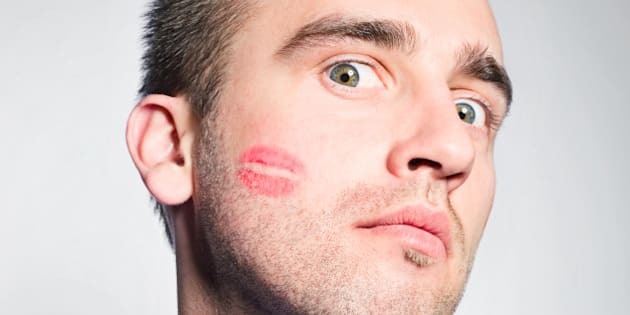 As I grew older and started dating for real, I had one very important question during those first few 'get to know each other' dates: Have you ever cheated on anyone? It may have been invasive, maybe too salient, but I didn't care. For me, it was like doing a background check, and whether they told me the truth or not, I could at least get a little sense of their history. By staying far away from the boys with cheating records and stories following them around, I was always led to the good ones. In last night's season 6 premiere we see our bad boy Draper continuing to struggle and search for meaning in his life, but there is also a sense of lost hope revealed. "What do you want from the New Year?" asks his neighbor's wife from underneath his naked chest. "I want to stop doing this," he responds. And as we all know, wanting and doing are two decidedly different things. So this in turn creates the ultimate conflict for this character: the quintessential cheater. And somehow, shockingly, some of us wondered all year if he was going to be able to resist yet another woman in a bar. Why in the world was it even a question? Of course he was going to cheat again! Maybe some women are born with an innate desire to believe in the ability to change. I know I'm a little more evidence-based myself and if history is any indication, I'd say Don Draper will spend the rest of his fictional life appearing in the beds of women all over 1960s Manhattan. The reality is, as the drunk girl said to me 20 years ago, once a cheater always a cheater.